Veronica Hilda Torres has been writing since she was a young girl. She would write stories, poems, and plays for her family and friends. Growing up, she wrote about her many adventures in a composition book she called "One for the Book". Writing has always been a way for her to be dramatic, moody, and entertaining at the same time. Veronica, along with her twin sister, is the youngest of fifteen siblings. Sharing the baby role has definitely given her a lot of material to write. 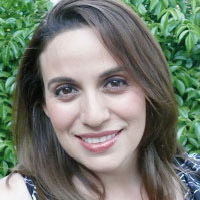 Veronica has a Master’s Degree from Concordia University in Educational Administration, a Bachelor’s Degree from California State University Long Beach in Liberal Studies. She has also earned several Associates Degrees in General Studies, Fine Arts and Communication, Natural Science, Social Science, and Biblical Studies. Veronica has been a middle school teacher for ten years and subscribes to the belief that one never stops learning.